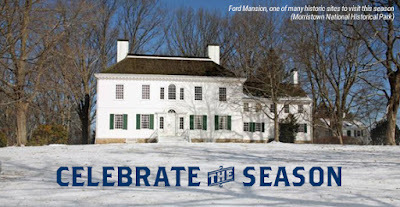 The Civil War Trust wishes you and yours a happy holiday season. As December dawns, our thoughts turn naturally to how the soldiers of America’s first century weathered each winter in the field during times of war. Across our country’s earliest conflicts, hundreds of thousands of troops toiled in the cold or huddled in canvas-roofed huts while many died of disease in camp. They also relished letters from home, shared special meals, felt loneliness and longing, and even engaged in epic snowball fights. Starting this weekend, please consider expanding your understanding of what these soldiers went through and what the season meant to them by visiting a historic site rooted in their struggles and sacrifice. 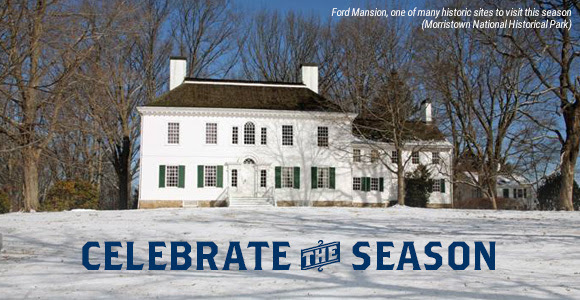 On Civilwar.org this month, we highlight a 10-site sampling of special Yuletide events that families can enjoy at the nation's Civil War, Revolutionary War and War of 1812 battlefields. Variously, these hallowed grounds will feature music, holiday treats, lantern lightings, living history, activities for children and even some appearances by Santa Claus. As we count our blessings, let us also deepen our appreciation for these soldiers’ devotion and how they shaped the country we call home and do our part to help ensure that their memory is never forgotten. We will be joined by Governor Terry McAuliffe, Secretary of Natural Resources Molly Ward, NOVA Parks, the Fauquier and Loudoun Garden Club, and other Virginia conservation champions for a special preservation announcement at historic Goose Creek Bridge. People in the Civil War era celebrated Christmas with gusto, at home, in camps and at posh events for officers. Join us on the Civil War Trust Facebook page. Experience the 155th Battle of Fredericksburg anniversary with the Civil War Trust through a series of Facebook Live events. We cannot overestimate the impact that terrain has on a battle. The ground and its size, shape, location, and topography were critical variables. In this In4, Col. Doug Douds, USMC, Ret. explains how physical terrain shaped the strategies and outcomes of Civil War Battles. Virginia was the most fought-over state in the Civil War, and right now we are working to save three of the most important battlefields in the Commonwealth: Second Manassas, North Anna, and New Market Heights. Help ensure that these sacred places are not bulldozed over.